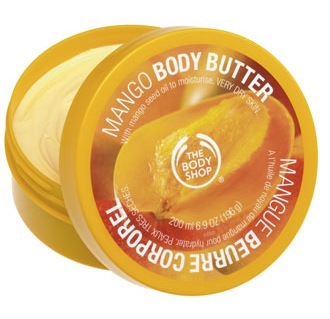 ∼ 20 ∼ OBSESSED: Mango Body Butter! CAUTION! DO NOT CONSUME! Trust me. You will want to stick a straw in this lotion and enjoy it like a tasty cocktail. Resist the urge. I am OBSESSED with Mango Body Butter by The Body Shop. It smells summery, sweet and succulent and feels like silk on your skin. It is a thick, moisturizing “butter” yet it is NOT one bit greasy! It sinks in to your skin within seconds and leaves you smelling nectarous and good enough to eat! It is powerful enough to soften up rough heels and elbows, yet light enough to use every day, everywhere! to view their amazing assortment. Head over to your nearest Body Shop and treat yourself to this amazing emulsion today. OMG OBSESSED!!! You got a really great blog I have been here reading for about half an hour. I am a newbie and your post is valuable for me….